Revealed: Google's Top 3 Ranking Factors! Google have recently announced the three main SEO factors that affect website ranking. We have long wondered “how does google rank search results! ?” and now we know! Google have kept pretty quiet about how they rank websites and SEO website Moz even runs a Search Engine Ranking Factors survey with their latest being from 2015. Most digital marketers previously believed that content and links are the main factors to a good page ranking. Well we were pretty much spot on! Google uses 3 main factors to calculate rankings of web pages. Number 1 and 2 are content and links (no surprise there) but 3 is Google’s little-known artificial intelligence algorithm, RankBrain. Google has around 200 other factors when ranking a page and obviously each one of these factors matters but to have it said explicitly by a Google staff member what the most important factors are is huge news. It was no surprise that content is a main factor to rankings. Naturally you want your site to have unique content on it, and Google rewards you with better rankings because you stand out from your competitors. It’s no good having content dedicated to boats if your website is selling clothes, so make sure your content is relevant to your website! Similarly, having duplicate content that you’ve copied from your competitors is a big no no and it’s best practice to have unique, relevant content in order to make your website and business more professional and trustworthy. It also stands out better to users when your website has different content to one of your competitors. They are more likely to go with the website that has better quality content in comparison to a site that has essentially the same content as one of their competitors. Google also reward webmasters for regularly updating pages with new content, keeping pages fresh works wonders for page rankings. Links were also an obvious choice, every website has to have links in order to rank well, but the trick to this, is getting more authoritative links. For example, having a link from the BBC or Huffington Post helps your pagerank a lot more than if it was from a generic WordPress blog with no traffic. Google knows that the BBC is a credible source and will take this into consideration when ranking your website in it’s search results pages. That doesn’t mean you shouldn’t build up natural links with smaller sites. 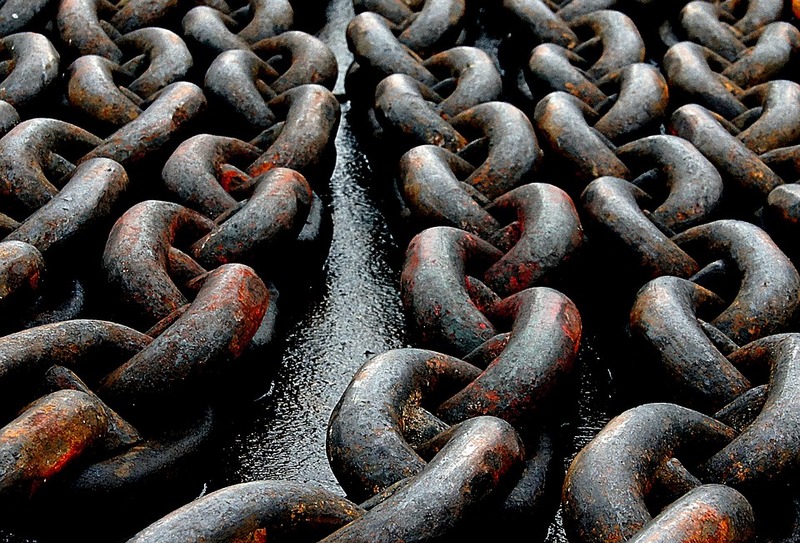 Making sure you have links with smaller sites is the pathway to gaining bigger links. Also, having links that are relevant to your site will give you a boost too! This means that spammy links or links to unrelated content will also be received negatively by both the user and Google. Rank Brain is Google’s new machine AI that basically adapts to the way people search. Rank Brain can predict a user’s search and give them the most relevant results, this is used more for when people search for a long query, because it gives them more refined results. On this basis, it is now more important to make sure that all of your meta tags and descriptions are up to date because this will help improve your click through rate for your website. You’re probably wondering, how does Rank Brain affect my site? Well Rank Brain will now find better results for longer queries and if your site isn’t relevant enough, it’ll drop through the ranks. To fully optimise Rank Brain, create a page/blog that is focused on one major keyword phrase and also focus on phrases related to the keyword. HTTPS – Google confirmed that it uses HTTPS as a ranking factor. Having a site that uses HTTPS encrypts the user’s data, which makes it better experience for the user, and it can also help your site gain rankings. Content Updates – Google prefers fresh pages, but this doesn’t mean that old pages will be disregarded, if you keep a page regularly updated with new content, Google could favour that page over a ‘fresh’ page. Sitemaps – Having a sitemap on your page lets Google know what pages are on your website. Which allows Google to easily find the pages on your site. Mobile Optimised Site – Having a site that is optimised for mobile is a big factor nowadays. Go back a few years and it wasn’t such a big deal, but Google says that there are now more searches on mobile than on desktop. Google, which shows that your content is relevant. Google also likes to find keywords in title tags, so implement your target keyword in your title, but don’t spam keywords, Google doesn’t like that. Site Speed – We all hate websites that take forever to load. So does Google; they now reward you with the increased chance of gaining rankings if your site is quick. URL Length – Having a long url will probably hurt your rankings, which is why it’s better have a shorter url. Google’s Matt Cutts once recommended an ideal maximum URL length would be 5 words. He said that Google starts to discount them after around 5 words. Obviously you want to get across what your page is about, but it doesn’t need to be lengthy. Have a URL that clearly tells the user what the article is about by using the main keywords. User Friendly Experience – We all hate it when a page is plastered with adverts. That’s why Google penalises websites that constantly spam ads which limits the user’s experience. Google reward sites that make the main content of the page immediately visible. This makes it easier for us – (the users) and Google to see what is on the page. Overall, making sure that your content is relevant and engaging and you have good quality links on your site, is the key to ranking well. Utilising Rank Brain is also an important note to make, especially on the basis that Rank Brain will become increasingly more intelligent in the next few years. It is also very important to optimise your site with many of the other ranking factors; these will help you increase your pagerank and also make accessibility and usability better for your users.